A little while ago Jen from Tie Dye Diva Patterns contacted me and asked if I'd be interested in becoming an affiliate. I had never tried her patterns before but I had heard nothing but good things about them so of course I said yes. She offered send me a pattern to review and tell you all about and the hardest part was choosing which pattern I wanted to try first. I was looking over all the adorable choices on The Tie Dye website when Maddie looked over my shoulder and said I HAVE to have that skirt. 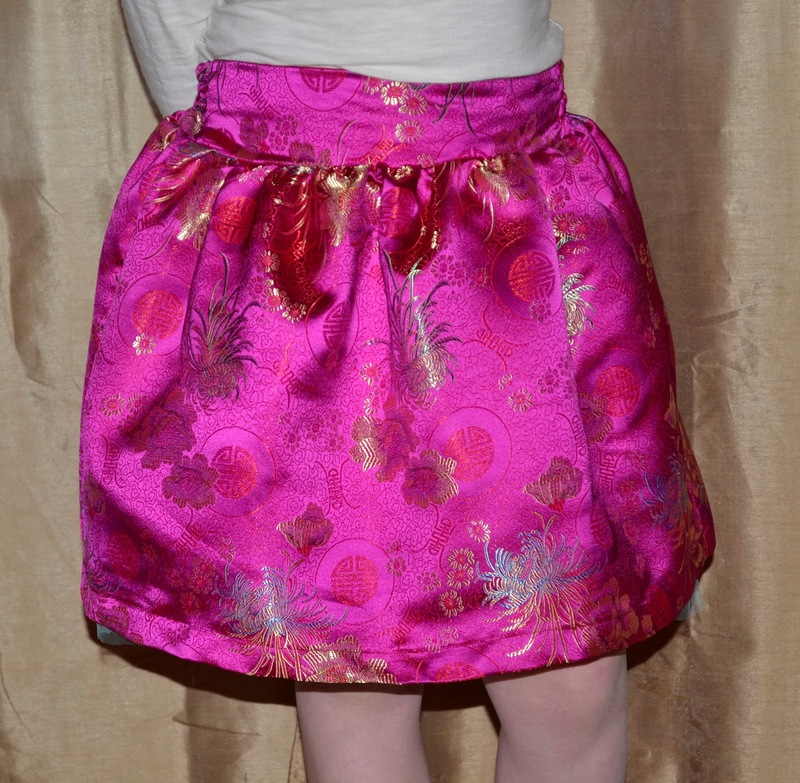 It was the Sugarplum Holiday Skirt Pattern. Luck for her the pattern came in her size. It runs from a 6-12 months all the way up to a 13/14 in girls. Talk about a range of sizes. This is definitely a confidant beginners pattern but the instructions are great. Based on her measurements Maddie fits the 9/10 which is her RTW size, but I figured if I was going through all the trouble of concurring brocade I would go up a size and make it last. 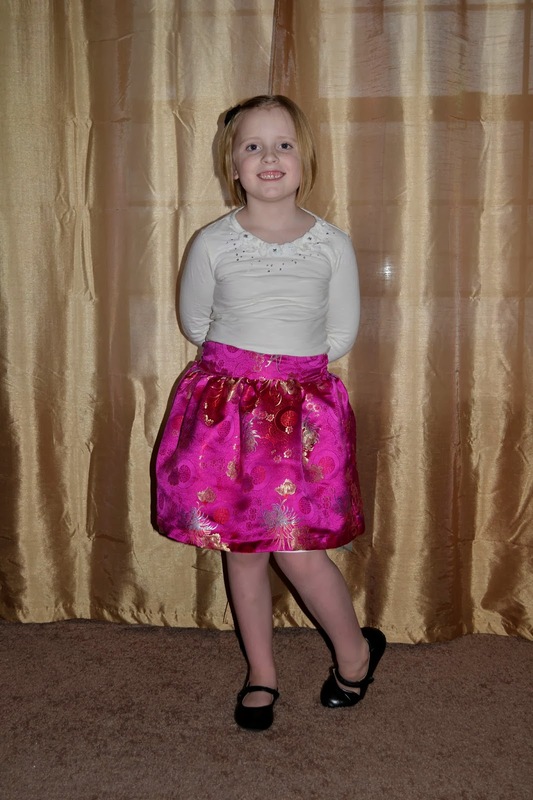 The pattern also includes instructions for an underskirt which Maddie is also wearing in these pictures. 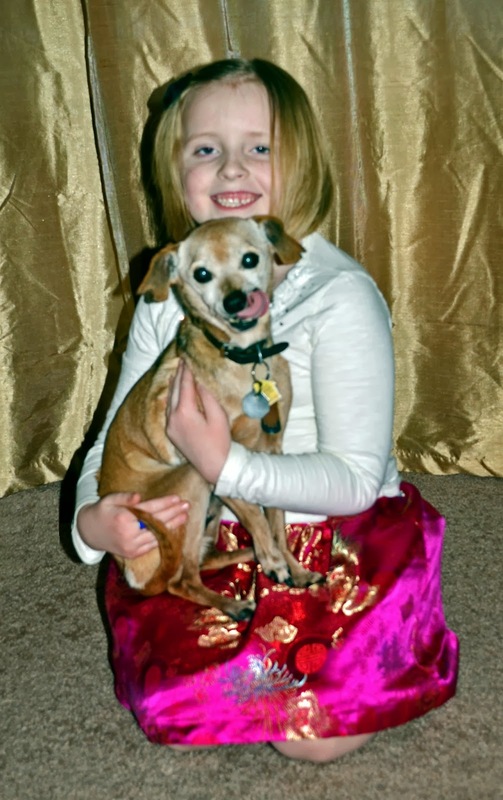 The next couple pics are just because I think I have the cutest little 6 yr old ever. She comes up with her own poses ladies and gentleman. Enjoy. If you want to get your own copy of this adorable skirt you can go here *affiliate link* and grab one. Your girls are such cooperative models. 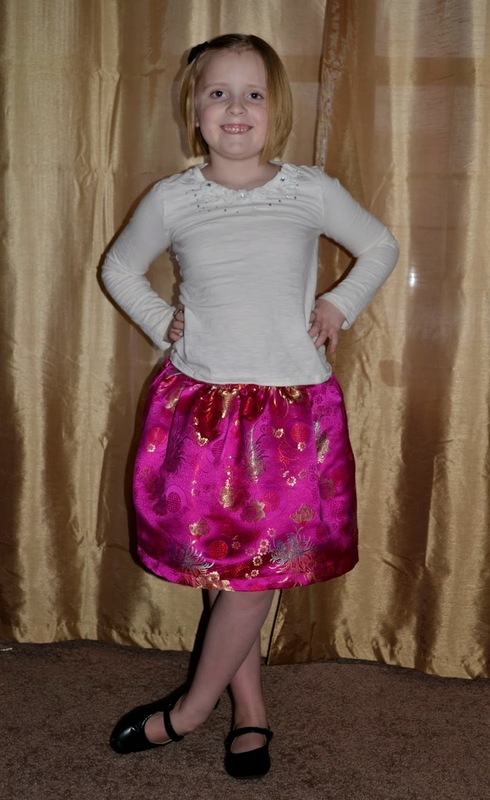 Maddie looks adorable in her new skirt. haha yeah right. Maddie puts sweaters on him all the time. He wiggles himself out of them in about 30 seconds.